One of the most popular articles I have live here on Life Straight UP! Is How to Cut a Watermelon. It’s truly the easy way and it lessens the muss and fuss of eating the delicious fruit! 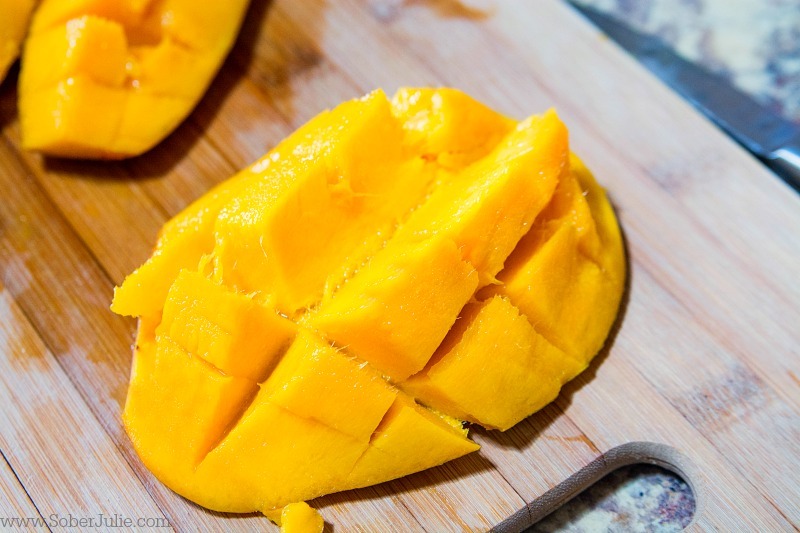 Today I’m sharing how to cut a mango the EASY way! 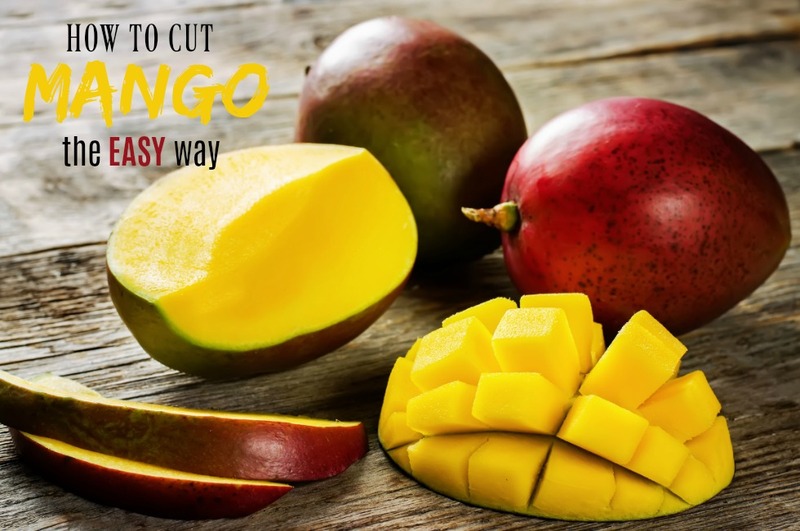 Mangos can be very tricky to cut, certainly if you have never done it and if you don’t realize that the pit is actually oblong shaped. I have ruined many, many mangos trying to get pieces of this delicious fruit off. Finally when we were in Mexico I had a vendor at the market show me how it’s done. He was using a massive knife and moved far too quickly for me to understand so of course I had to embarrass myself and ask to see it again. Thankfully he was very kind and did show me without laughing at me too hard. I hope this helps you to enjoy one of my favourite fruits! Begin inspecting the mango. You can see that it’s an oblong type shape and the inside pit is also the same shape. 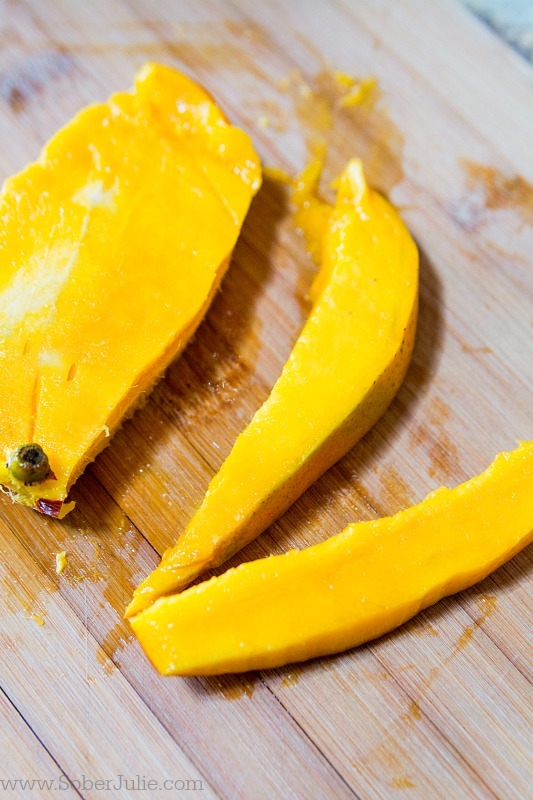 You will want to bring your knife along the sides of the mango, to maximize the amount of fruit you get in the end. 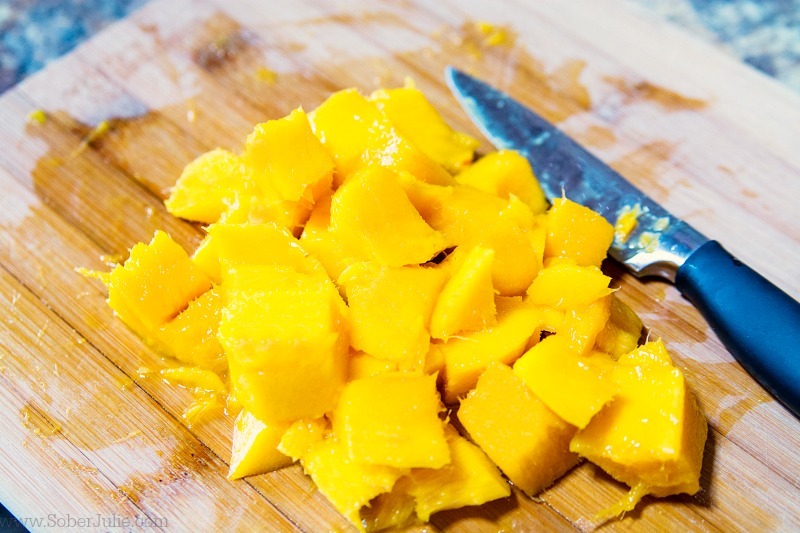 You will want to hold the mango with the fatter sides going perpendicular to yourself. The thinner side should be facing you. Start with positioning your knife slightly off centre at the top of the fruit. 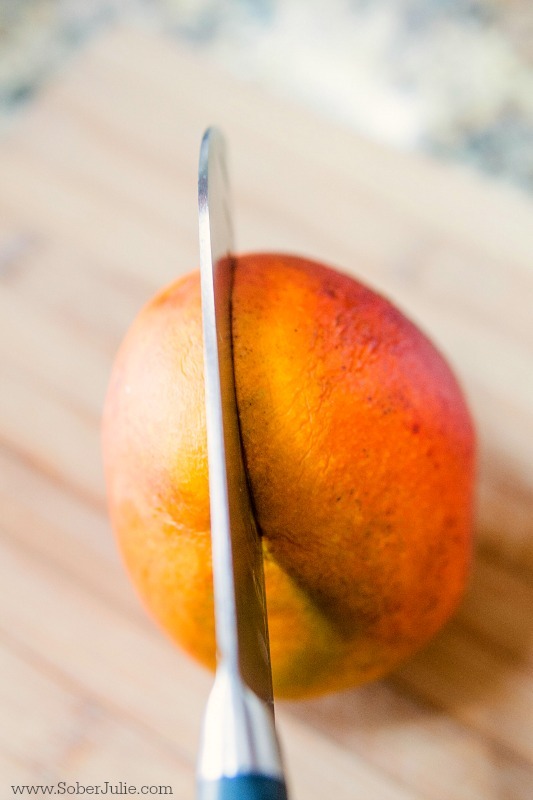 Watching your fingers carefully, begin slicing directly down into the mango and as you meet some resistance from the inner pit, angle your knife so that you “skim” the sides of of the pit. Repeat on the other side. The remaining sides around the pit will still yield some mango meat. Follow the same procedure, cutting from top to down, going around the outside of the pit. 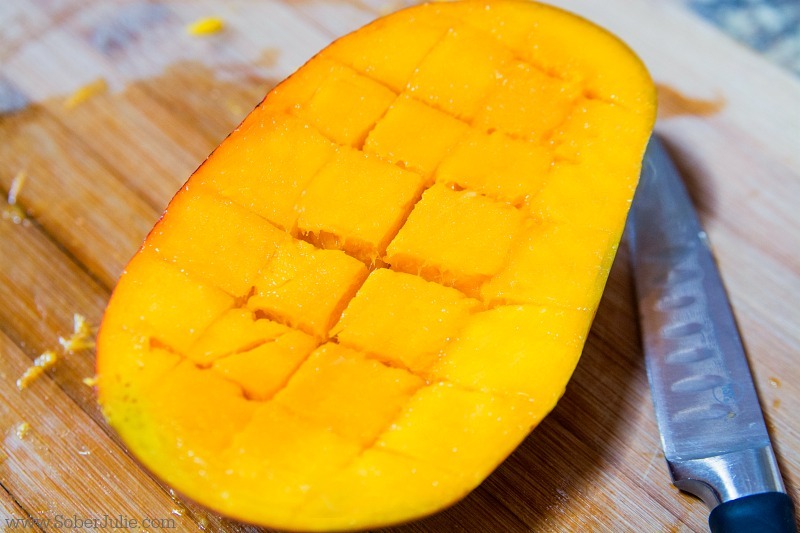 For the larger portions of mango, begin to slice a crosshatch type pattern into the fruit, but being careful not to pierce the bottom skin. When you have the crosshatch cut, using two hands, being to invert the fruit so that on inversion, the fruit stands out at the cuts in cubes. Using the knife, cut these cubes off from the flesh. 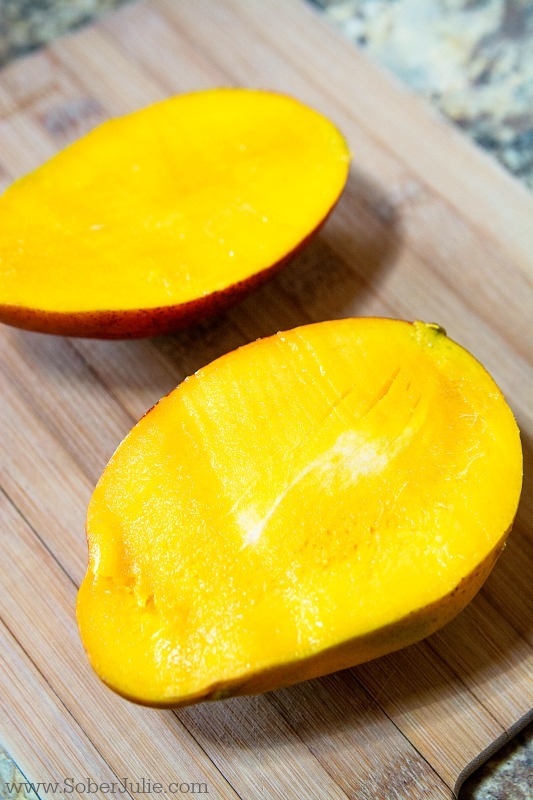 With the thinner portions of mango, the skin is easily sliced away from the flesh. 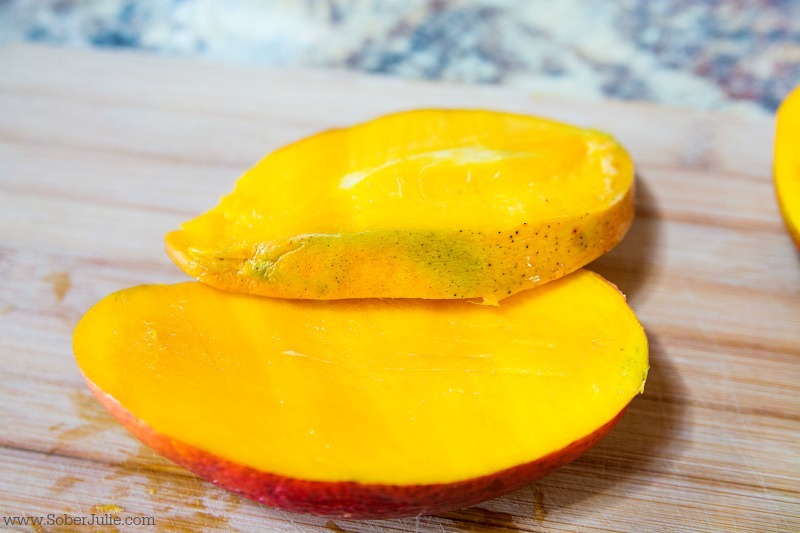 Mango is KING of fruits. My favorite juice.